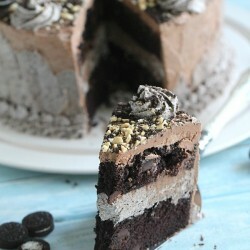 An Eggless Oreo Nutella Cake with chocolate chips, roasted hazelnuts, Oreo buttercream and Nutella Buttercream for the most amazing cake. 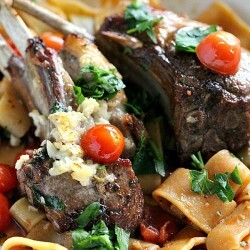 Garlic Lamb Chops are topped with juicy Roma Cherry Tomatoes plus parsley and cooked in the oven. 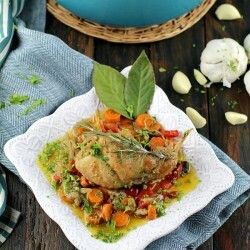 Served over pasta, this is an easy and elegant meal. 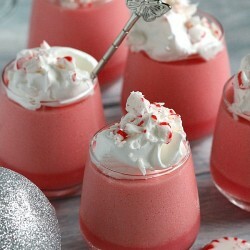 No Bake and Gluten Free, these Candy Cane Raspberry Dessert Shots are creamy and easy to make and only have 4 ingredients. 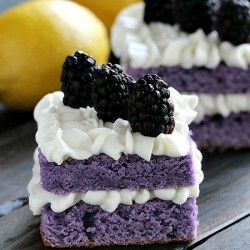 Vanilla Purple Cake with Lemon Buttercream is cut into mini individual cakes decorated with fresh blackberries, for a beautiful dessert. 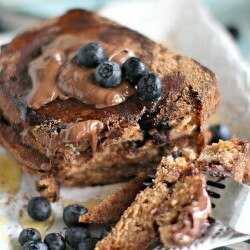 A homemade Chocolate Blueberry Bread is transformed in a sweet and cinnamony French Toast served with a drizzle of honey and Nutella. 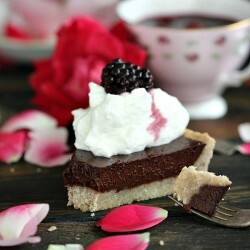 A luxurious Sugar Free Chocolate Ganache Tart topped with sweet whipped cream and juicy blackberries soaked in wine. 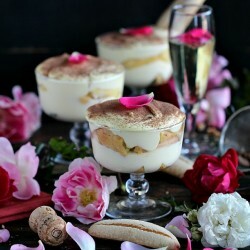 A no bake, gluten free, creamy and festive Sparkling Wine Tiramisu made with bubbly prosecco for a gorgeous and easy, show stopper dessert. 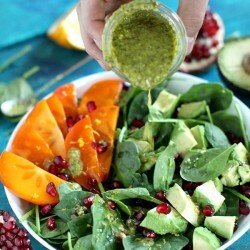 A seasonal Persimmon Avocado Pomegranate Salad with orange zest and a savory garlicky, loaded with basil and parsley green dressing. 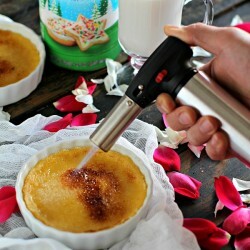 A seasonal, flavorful and festive Sugar Cookie Creme Brûlée that only requires 5 ingredients. 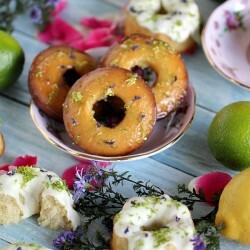 Lemon lime mini bundt cakes and baked donuts made with Lemon Lime seltzer water for a bright and refreshing flavor and unbelievable texture. 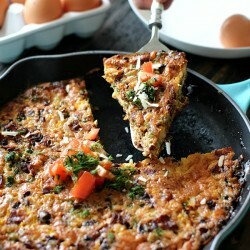 A hearty bacon corn and sweet peas frittata that is loaded with cheese and lots of crispy bacon is the perfect way to start your day. 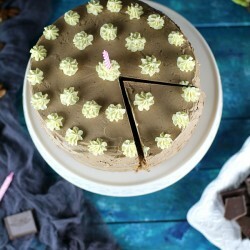 Soft and tender egg whites cake with chopped pecans and a silky vanilla buttercream layer, all covered in creamy chocolate buttercream. 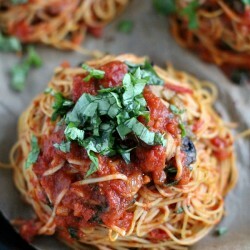 Easy and delicious, these Chicken Mushrooms Spaghetti Nests make a nice fancy weeknight dinner, the perfect pairing for a glass of wine. 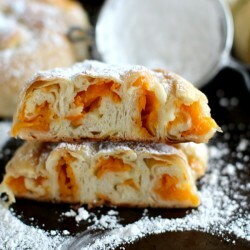 These sweet Vegan Butternut Squash Stuffed Pinwheels require only a few ingredients and would be the perfect addition to your holiday table. 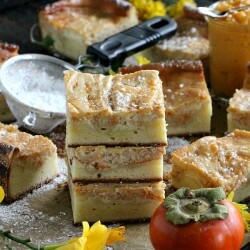 Two classic desserts are combined into these creamy and flavorful persimmon cheesecake pound cake bars that make one decadent dessert. 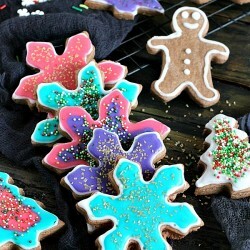 Throw a playdate and make these Little Charmers Magical Friendship Cookies for the kids who are about to learn the value of friendship! 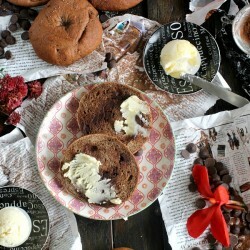 Homemade New York style Chocolate Chocolate Chip Bagels that are sweet, dense and chewy. 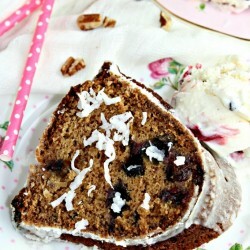 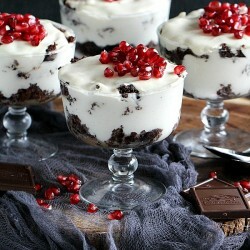 Served with creamy whipped Honey Mascarpone on the side. 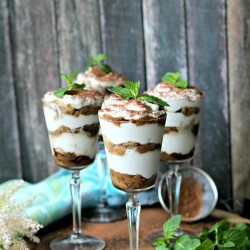 A healthier version of tiramisu cake, these coconut cream tiramisu glasses made with honey are dairy free, and make the perfect summer dessert. 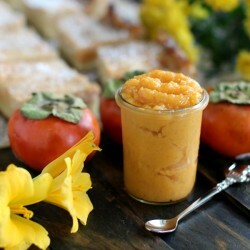 A very easy Persimmon Jam Recipe that can be used in cheesecakes or just spreaded on toast. 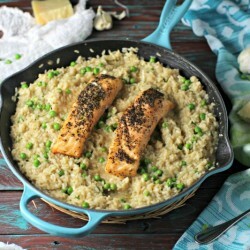 Easy and delicious salmon and risotto dinner that is ready in under 25 min. 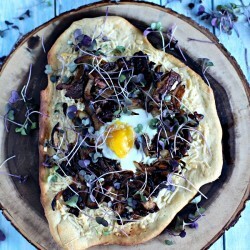 Flavorful and perfect for fancy and super quick weekly dinner. 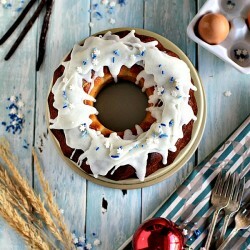 This crowd-pleasing cake features a classic date flavor, with some deep caramel notes and some juicy sour cherries for a surprise pairing. 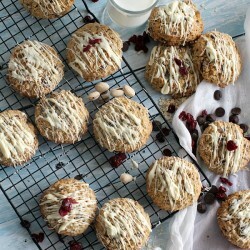 Chewy, dense with many textures and topped with a drizzle of white chocolate these Cranberry Pistachio Chocolate Chip Oatmeal Cookies are fabulous. 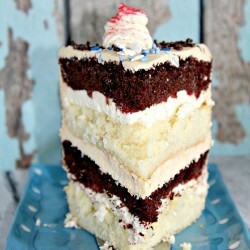 A dreamy Black and White Cake with Mascarpone & Caramel Buttercream, vanilla and chocolate cake layers, silky smooth frosting and fresh strawberries. 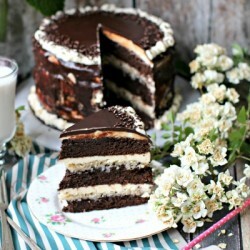 An indulgent homemade chocolate brownie cake, with layers of vanilla mascarpone buttercream, coconut walnut custard and chocolate ganache. 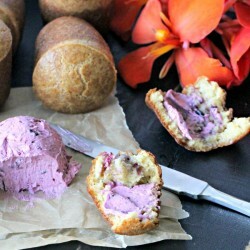 Warm, crunchy on the outside and soft on the inside breakfast butter rolls are served with homemade blueberry whipped butter on the side. 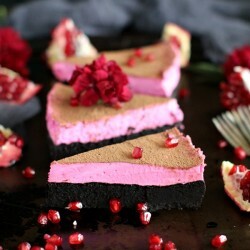 Sweet, silky smooth, loaded with chocolate and topped with a luxurious mousse, these Pomegranate Mousse Brownies are festive and delicious. 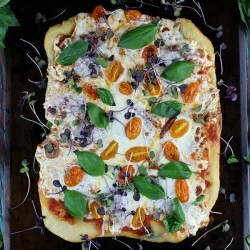 A delicious blend of fresh mozzarella, juicy golden tomatoes, pepperoni and basil make this Golden Tomatoes Pepperoni Pizza perfect for pizza night. 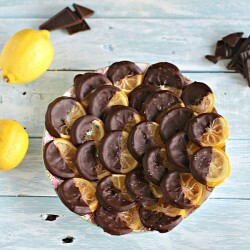 Vegan and gluten free these chocolate dipped candied lemon rounds are sweet and chewy, finished with a dash of sea salt for a perfect snack. 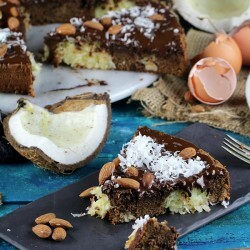 This Almond Joy Gluten Free Cake has only two tablespoons of coconut flour, is packed with coconut balls that are covered in a light chocolate cake.